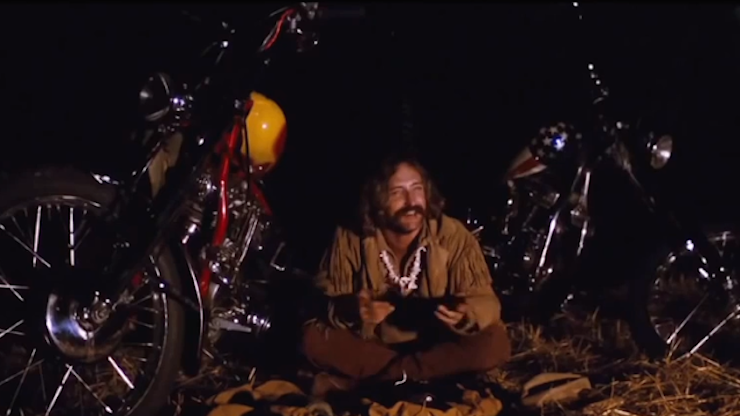 There were three writers of the script, Dennis Hopper, Peter Fonda and Terry Southern. One of these people had inside information about aliens and how they are influencing the world today. Unless Jack just came up with it himself during the scene…and slipped it in to enlighten the world. I knew about everything he said already, but even today, most people don’t know even 5% of it. So, how did they know it then? Every word, every sentence was logically written to expose the alien influence over the last 70 years. In the scene, Jack Nicholson explains how aliens have influence humanity over the last 70 years and how humanity will grow because of it. When Jack finishes, they look down at his joint and are in awe, because…he hadn’t been smoking it and it went out. Next Post:Two Flashing UFOs Buzz Around Space Station On Live Internet Cam, Jan 19, 2019, Video, UFO Sighting News.